We took a trip to Sydney on the weekend for a friend’s birthday party – which meant I had to pack for a couple of nights away. I’m the first to admit that I am absolutely terrible at packing. I absolutely hate doing it, and I always procrastinate leaving it to the last minute with eleventh-hour panic packing producing pitiful results! While it’s not uncommon for me to arrive at my destination and realise I have eight pairs of shoes (for 2 days) but no underwear (true story!) – I have definitely improved in leaps and bounds on the toiletries front. Hotel-supplied products generally make me shudder – normally cheaply made and full of nasty chemicals, and rarely are they cruelty free. So I simply always take my own. In the past however I would lug full-size toiletries everywhere I went – but I recently decided to get super organised and now have a collection of travel-size cruelty-free products which are perfect for a couple of days away. This weekend I packed my Sanctum Travel Essentials pack – with shampoo, conditioner and shower gel – and headed to Rydges Cronulla. 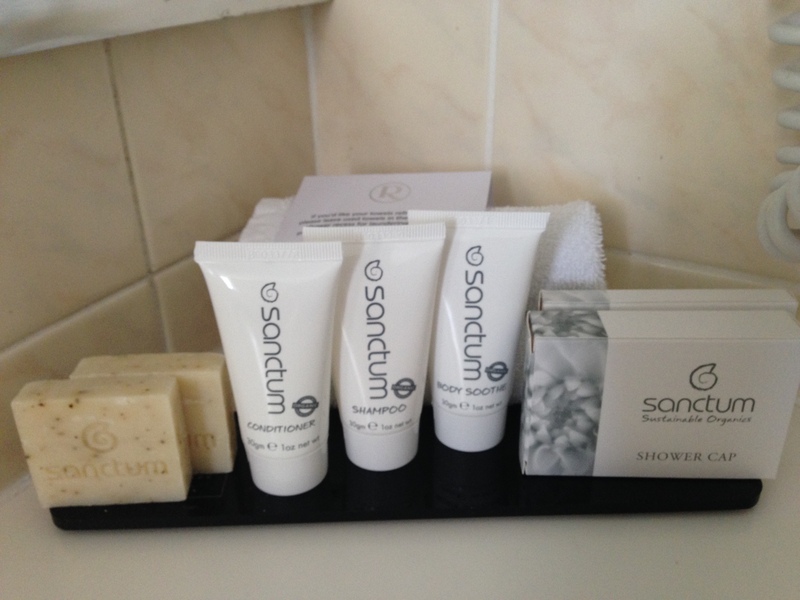 Surprise surprise however – the bathroom products were also Sanctum! Sanctum is an Australian brand (made in Byron Bay) and is certified organic, vegan friendly and 100% cruelty free. They are also certified by Choose Cruelty Free. They are very affordable and you should definitely check them out. Yay Rydges – kudos to you!